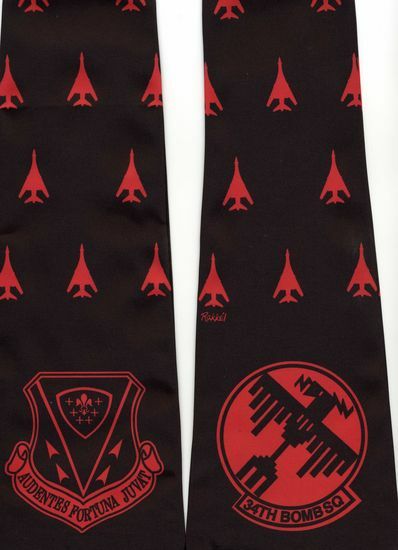 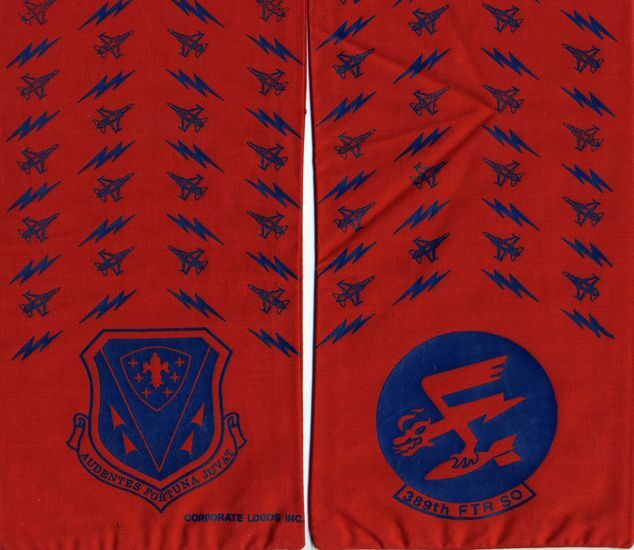 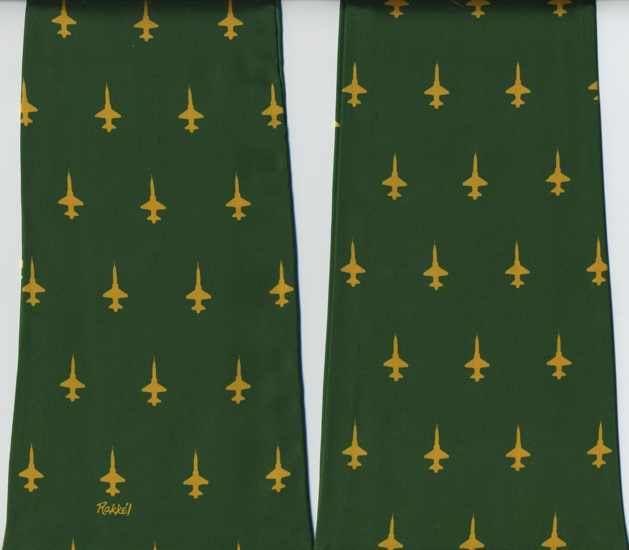 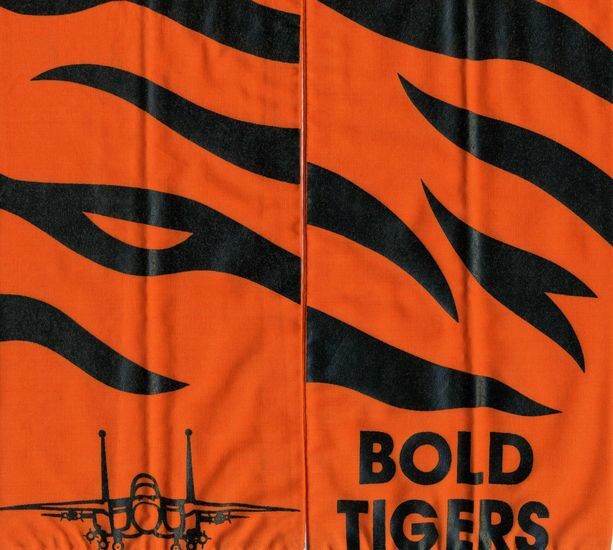 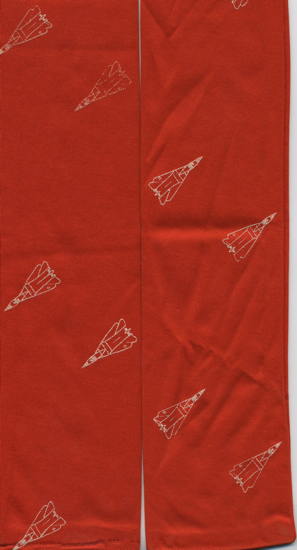 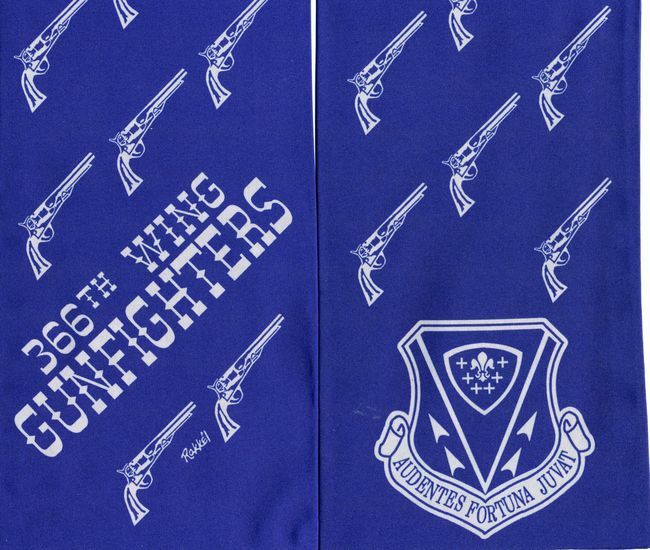 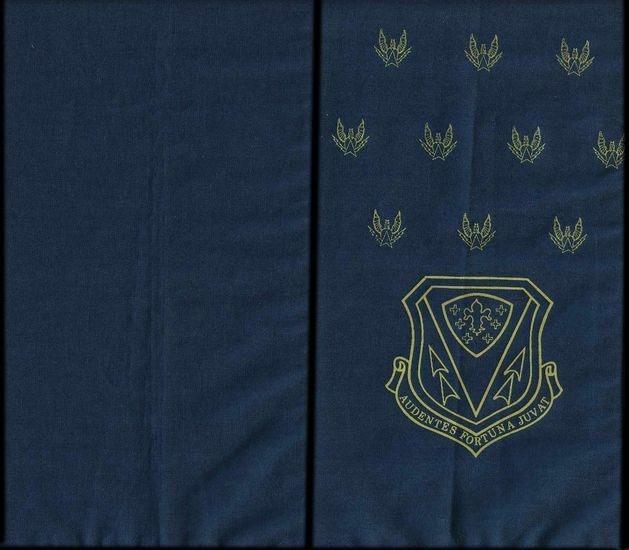 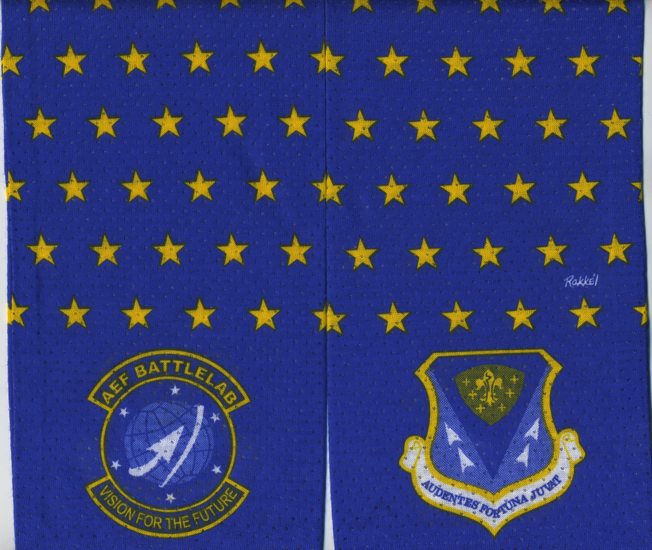 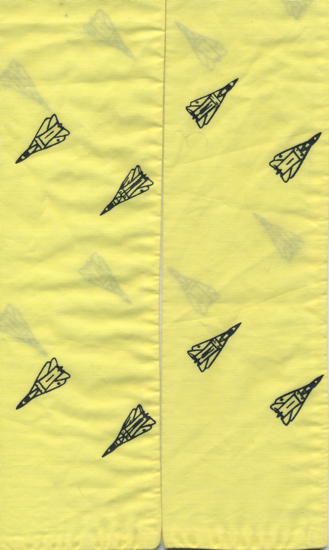 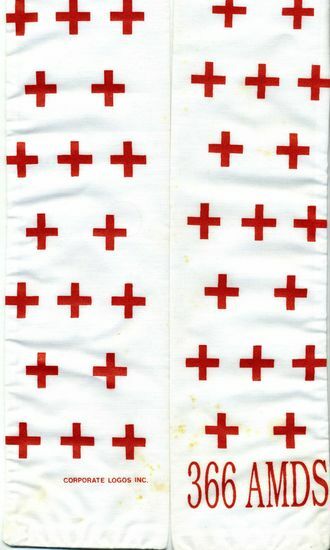 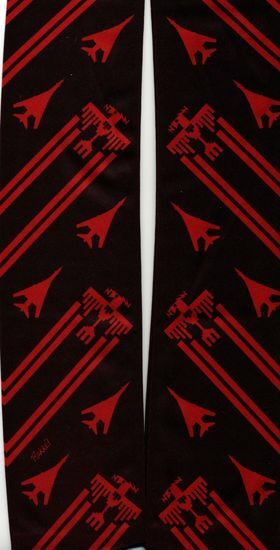 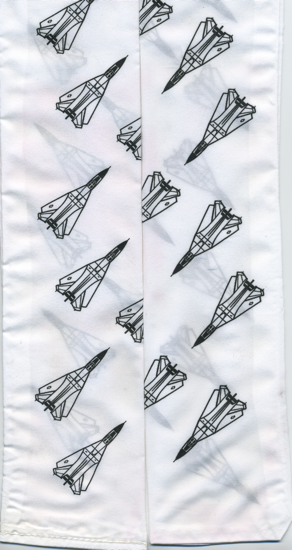 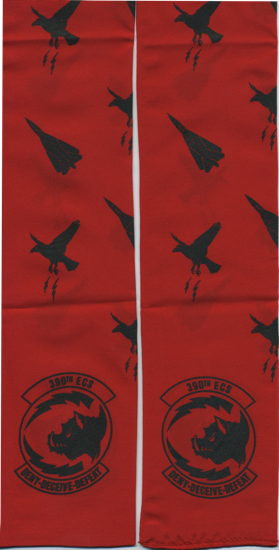 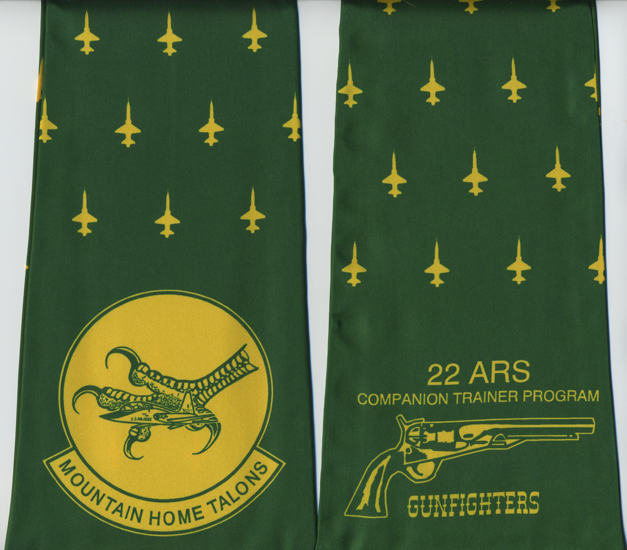 A former unit member wrote in about the 390th Electronic Combat Squadron Operation Desert Storm scarf: "At Taif Saudi Arabia we were based with the 5th Royal Saudi AF F-5E squadron. 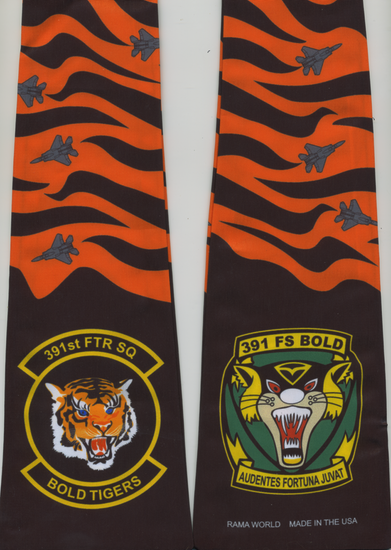 We operated out of their ops building and I worked pretty close with the squadron commander. 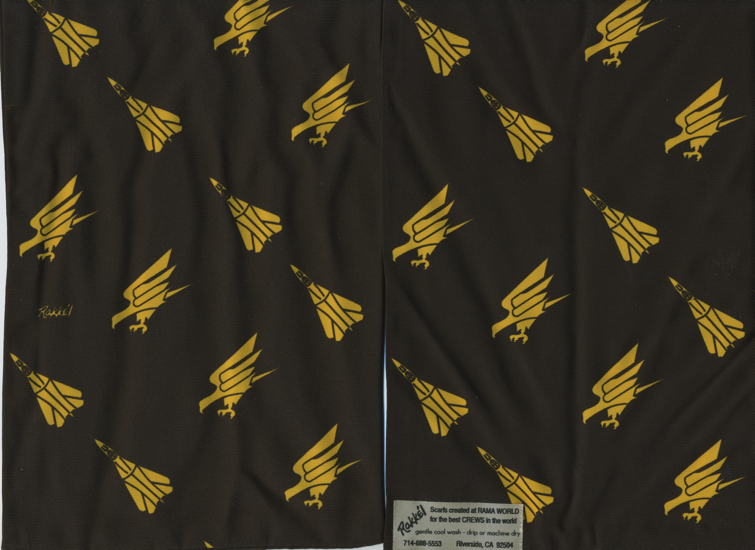 I got the idea while talking to him and got approval to have them made. 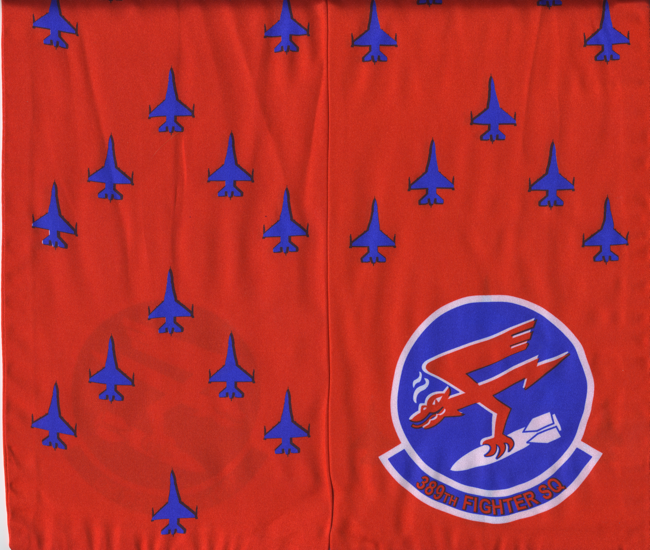 Arkie Huber at OAR Products was located outside the Nellis Blvd gate to Nellis AFB back then. 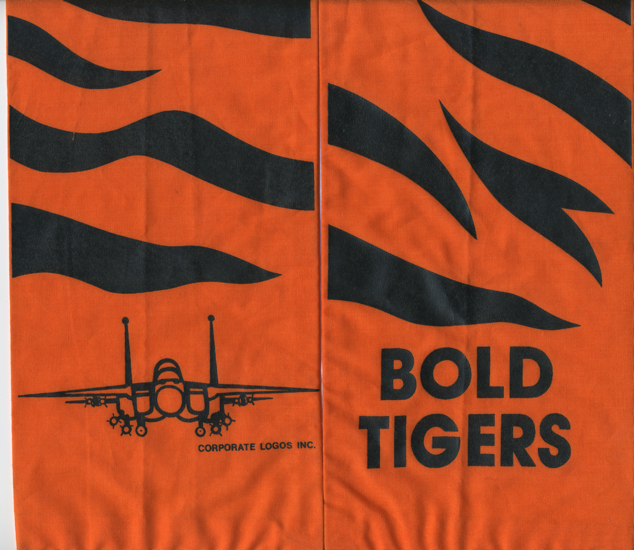 They had the scarves made for us. 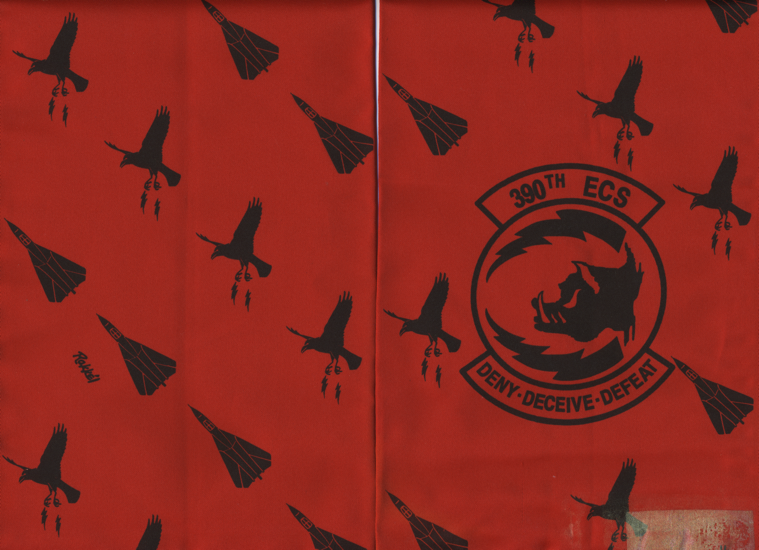 If I remember correctly I had 200 made. 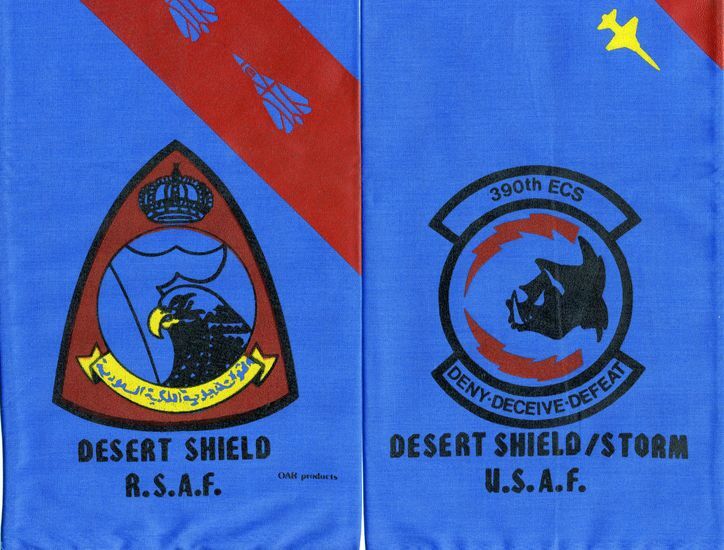 It was worn throughout Desert Shield/Storm by 390th and the 5th crews." 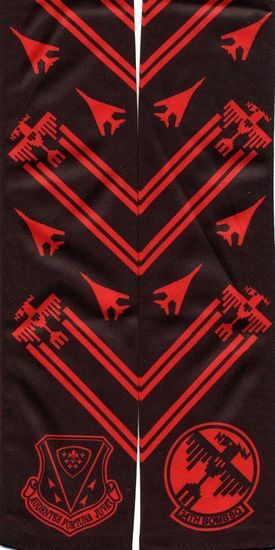 That year, the B-52G was retired, so the 34th Bomb Squadron transitioned to the B-1B and the squadron was physically moved at Mountain Home AFB. 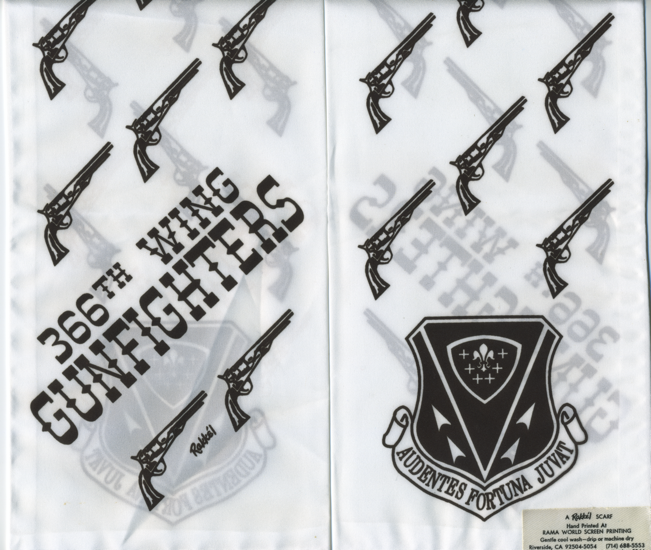 In 2001-2002, the wing's bomber and tanker assets were reassigned and the 366th was re-designated the 366th Fighter Wing. 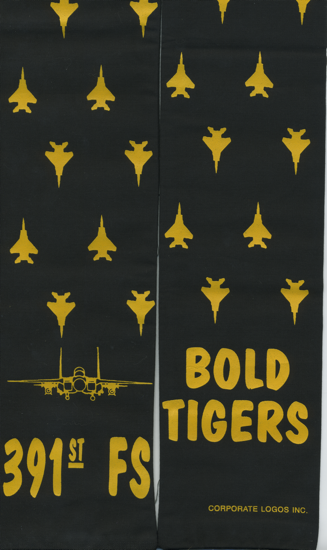 Subsequently, the F-16C and F-15C aircraft assigned have been reallocated or retired, so the wing has flown F-15E's exclusively since 2010.